16 Person team with greater than 275 years combined industry experience. Access to over 200 lighting lines world wide. 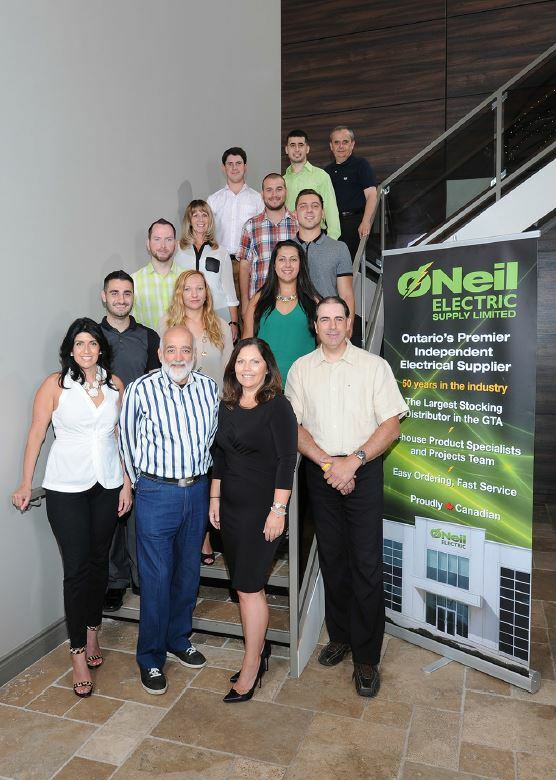 Product specialists in: Lighting, Power Distribution, Property Management, Energy Savings. Extensive Experience & Expertise in Large Commercial, Institutional & High Rise Project Management. Complete Project Service Package & Direct Design / Specification Done with Major Developers. Quantity / Cost Estimating & Take Off Calculations done on all Drawings. Value Engineering Performed around Budget Requirements / Constraints. Work Directly with Manufacturers to Develop Custom Fixtures to Suit Design Concepts. Creative Collaboration with all Teams in Lighting Design & Specifications. Light Level Calculations done by O'Neil Specialists & Manufacturers to ensure Codes & Performance Specs met. Complete Participation in all stages of Project Planning & Management. Advanced Materials Purchasing, Scheduling & Staging on All Products. All Orders Re-Checked at Packing Stage; Pre-lamped, pre-wired fixtures - tagged by site, floor, suite with custom labeling.